The following are a list of questions this writer employs when on the trail of an astroturfer. They are by no means finite but proved successful in exposing the Landscape Guardians and the Waubra Foundation in July last year. The third part of this trilogy on “deception” will be the actual Case Studies. Did the organisation appear to shoot up overnight? When you dig down deep into a genuine community group, you’ll find real grassroots: roots that start out small and generally grow over a period of time in response to efforts and fundraising by its members. If it sprouts overnight like a weed, it’s probably not grass. 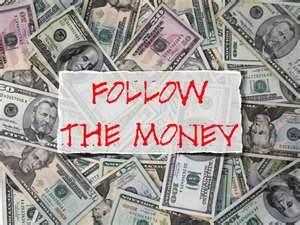 “Following the Money” has served investigative journalists well since time immemorial. Does the campaign benefit a large corporation or industry instead of the public? Does the group have slick websites, attract wall-to-wall media coverage, use expensive media monitoring services and run protest meetings stacked with more “out of towners” than “locals”? In short, is its marketing campaign the envy of other community groups? Legally, the organisation becomes an “entity” which can open bank accounts, take out public liability insurance and enter into contracts. Its members and officers are protected from personal liability against the organisation’s debts. It also qualifies the group for government and other grants. Both provide a mine of information such as date of incorporation, number of members, address of entity, name and address of Public Officer/Secretary and the source of the group’s income as well as expenditure items. Does it hide the source of its funding? If incorporated, it must submit an Annual Financial Return. Does it show “zero” for both income and expenditure? If so, who is paying for advertising, resources, etc. and why the cover up? If incorporated, how many members are listed on the Application? A minimum of 5 is generally required to incorporate. Applications showing barely the minimum number of members are less likely to be genuine community groups. Can you join or get a list of members? If so, does its members have links to vested corporate, ideological or political interests? Does the number of “branches” outnumber the members? 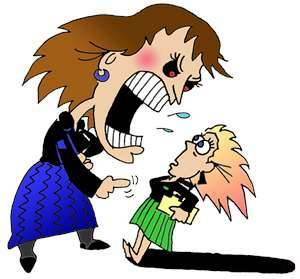 Does it scare off genuine community members who have an opposing point of view through violent and aggressive behaviour? Astroturfers incite the irrational and volatile in our community (sometimes using psychosocial tactics) for one reason: to make a lot of noise and drown out opposition. Does the group operate the classic “blind” of an astroturfer where you fill in a box as the only means of “contact” with no published address or phone number listed? If you have a copy of the Application for Association Incorporation, whose name and address is given as the Public Officer (in Victoria called “Secretary” since 1 Dec 2011)? Does the same name and address come up repeatedly for different “branches” of the group? Does the Public Officer live in the community the group purports to represent? Does this person have links to vested corporate, ideological or political interests? If the group has a website, you can look up the name of the person responsible for the site on a “Whois” site such as Internic. These follow a pattern in the way they manipulate triggers in the mind to evoke a psychological response, similar to “greenwashing”. I’ve included a number of US examples. Given the clumsy efforts so far by practitioners of the art in Australia, we’re not likely to see anything more original. If it works over there, the “$dollars for deceit” mob will try it here. Names that include “Coalition” or “Partnership” disguise the fact that there is usually just one entity involved, albeit a multinational corporation. Titles like “American” or “Australian” relay nationwide relevance and importance. “Citizen” is a popular moniker disguising the fact that there are no citizens, only corporate fat cats, usually hiding behind several layers of astroturf in the form of front groups, right wing advocacy groups and think tanks. In the case of the US’s “Hands off my Healthcare” campaign, the overuse of names which included words like “patients”, “public” or “rights” was a give-away. Most of the US campaigns were organised by another front group, founded by “free-marketeer” David Koch, Executive Vice-President of multi-national, multi-billion dollar mining conglomerate, Koch Industries – the Americans For Prosperity – on behalf of the health insurance lobby. Here are examples of the dozens that proliferated during the campaign. ExxonMobile has spent over $25 million in its bid to stop action on global warming. Its list is by far the largest with over 150 astroturfers. This is one to download as you’ll refer back to it, time and time again. Handles like “Citizen”, “Coalition”, “National” and eco-friendly sounding names like “Earthwatch” or “Environment” abound. 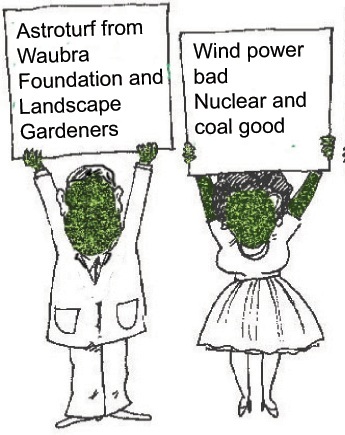 The Waubra Foundation claims to be an independent organisation but it has direct links to the Australian Landscape Guardians, the Liberal Party of Australia and mining interests who in turn have inks with the right wing thinktank, Institute of Public Affairs. Note: the look-alike name and logo resulted in the Australian Conservation Foundation suing for trademark infringement. Manipulating the mind used to be the weapon of choice of totalitarian regimes. But the last decade has seen an unprecedented rise in corporate funded propaganda in our so-called “beacons of democracy”, USA and Australia. Modern age PR illusionists, today’s digital age snake oil salesmen, are reeling you in by evermore shameful and unethical means. They display no regard for possible tragic consequences. The most despicable are the climate skeptic spinmeisters, whose crowning achievement may well be the end of the planet. Following our last story “Deception is our Product” posted on February 7, Indy Oz has compiled “A Practical Guide to Trickery & Fakery in the Digital Age” to help you sort the shill from the sham and spin from the scam. Multiple Fake IDs – using Persona Management Software, Avatars, Shills, Sockpuppets, Fake Blogs (Flogs) and Trolls. The following are a list of questions this writer employs when on the trail of an astroturfer. They are by no means finite, but proved successful in exposing the Landscape Guardians and the Waubra Foundation in July last year. The third part of this trilogy on “deception” will be the actual Case Studies. Legally, the organisation becomes an “entity”, which can open bank accounts, take out public liability insurance and enter into contracts. Its members and officers are protected from personal liability against the organisation’s debts. It also qualifies the group for government and other grants. When an astroturfer incorporates, it is usually to mask the fiction. The difference between a real and faux group is obvious when you check their last financial statement. A copy of this and the Application for Association Incorporation can be applied for in all states and territories (e.g. the Dept. of Justice, Consumer Affairs in Victoria and NSW Government’s Fair Trading in NSW.) A full list can be found here. Does it hide the source of its funding? If incorporated, it must submit an Annual Financial Return. Does it show “zero” for both income and expenditure? If so, who is paying for advertising, resources, and so on, and why the cover up? Can you join or get a list of members? If so, do its members have links to vested corporate, ideological or political interests? Does the group operate the classic “blind” of an astroturfer, where you fill in a box as the only means of “contact”, with no published address or phone number listed? ExxonMobil has spent over $25 million in its bid to stop action on global warming. Its list is by far the largest with over 150 astroturfers. This is one to download as you’ll refer back to it, time and time again. Australian Environment Foundation Note: the look-alike name and logo resulted in the Australian Conservation Foundation suing for trademark infringement. These infect the threads of any on-liner but are most virulent on environment web sites. Friends of the Earth’s high profile Campaigns Co-ordinator, Cam Walker, spotted an outbreak of vitriolic anti-wind comments on FOE’s YES! to renewables website. All different IDs but the same toxic rhetoric. A check on the email address showed them to be from the same person – possibly the same person masquerading as “Cam Walker” who was responsible for the anti-wind comments on Victorian Regional newspaper websites. One way to check whether multiple entities are the same person is to check their IP address. Here’s a useful site. Once you know how to look for headers depending on which application you use (Outlook, Hotmail, etc. ), look for “Received: from”. The IP follows in square brackets [ ]. Then go on to IP Look Up and type in the IP number. Greenpeace ran a successful campaign on how rainforests in Indonesia’s tiger habitat was being destroyed for the production of toilet paper. Consumers boycotted IGA who, in turn, cancelled its order. The supplier, Solaris, retaliated. The award-winning PR website, Mumbrella, ran the Greenpeace story but became suspicious when a torrent of abuse from a large number of people hostile to Greenpeace suddenly flooded the website. Mumbrella checked the IP addresses and traced them back to an office at Solaris. The company apologized for the abusive and deceptive behavior, and the executive was sacked. Companies now use highly sophisticated “persona management software” to create multiple identities, which in turn creates the impression of support (for a corporation) or criticism (of a competitor). The most disturbing case is that of the US Air Force, which tendered last year for companies to supply it with such software to sabotage democratic debate and manipulate the outcome. This is a term to describe the name or handle of an internet user. It is usually a small, square-shaped, pixelled symbol to identify the writer, either designed by the user or selected from a preset list. Avatars are often used as a sham to create the impression of multiple identities. Also paid for their services are “sockpuppets”. They post comments under different aliases to spruik the upsides or downsides of a product by supporting and engaging in conversation between their different aliases. The term comes from a puppeteer’s use of two sock puppets engaging in two sides of a conversation. A blog tricked up to look like an independent on-liner, but is, in fact, created by a company or organisation to push its product or political viewpoint. A “troll” epitomizes all that is ugly on the internet: someone (generally hired) who posts inflammatory comments, often nothing to do with the topic, for the sole purpose of disrupting sensible and rational debate. 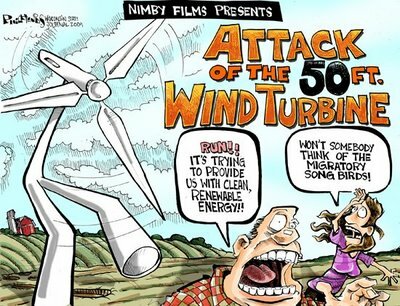 A favourite tactic with the Tea Party and its ideological kin: the climate skeptics and anti-environmentalists.